Dannys first painting trip in Nunavut in 1977 had a lasting influence on the direction of his work. He has lived and painted there for many years since and continues to develop his interest in the action of ice on the land. The Utmost Bounds of the Unknown (Detail), 152cm x 107cm, Oil on canvas. Meta Incognita, Oil on Canvas. Near Qamaviq, Oil on Canvas. 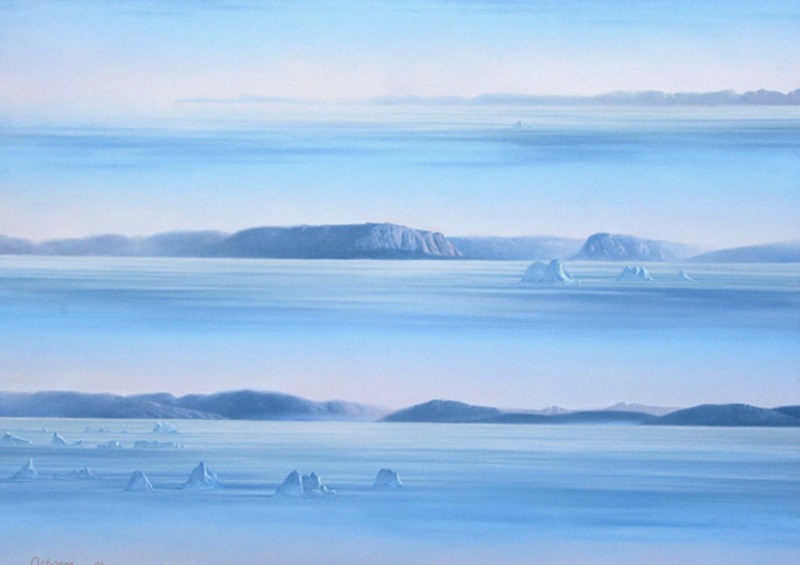 Dannys’ Glacier, Oil on Canvas. Baad Fjord, 152cm x 107cm. Oil on Canvas. Coming off South Cape, 90cm x 41cm. Oil on Canvas. 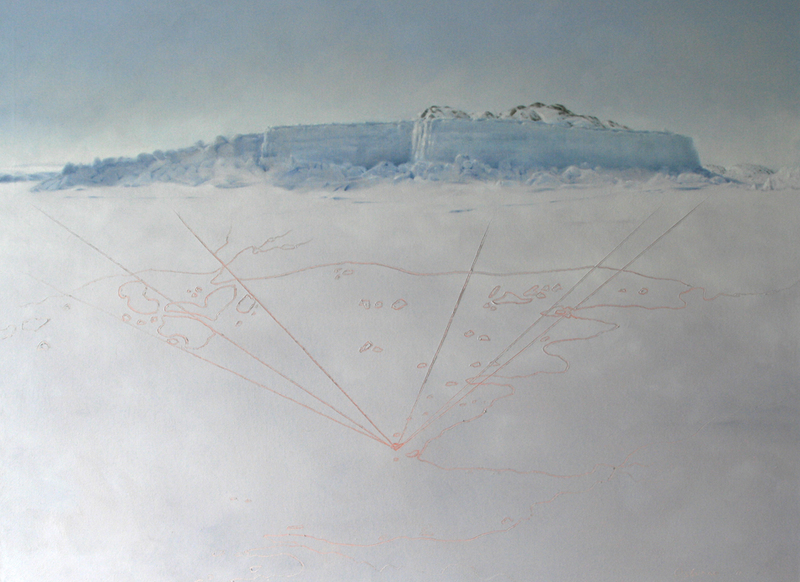 Trapped Berg, 152cm x 90cm. Oil on Canvas. 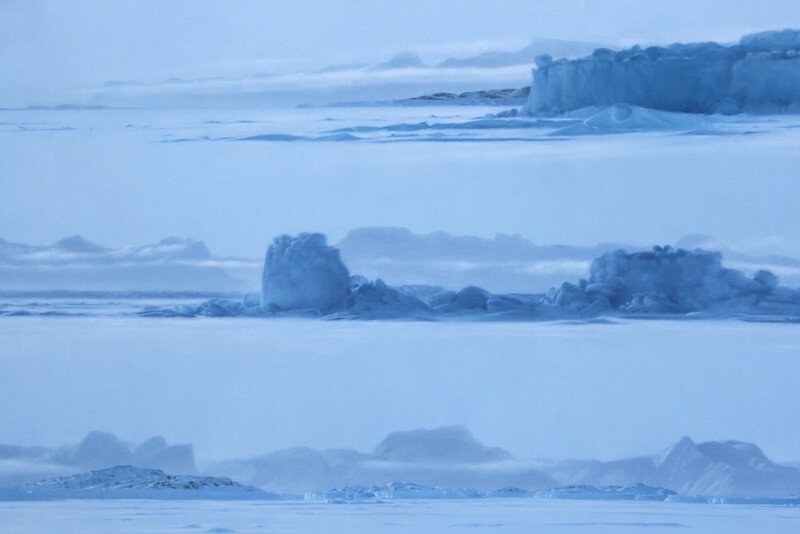 Piece of Ice Shelf, Oil on Canvas. Sundogs, Gold Cove, Oil on Canvas. Glacier Camp, Oil on Canvas. This is the end Martyn, Oil on canvas, 91 x 122cms.